We’re thrilled to formally announce our staff promotions for 2018! 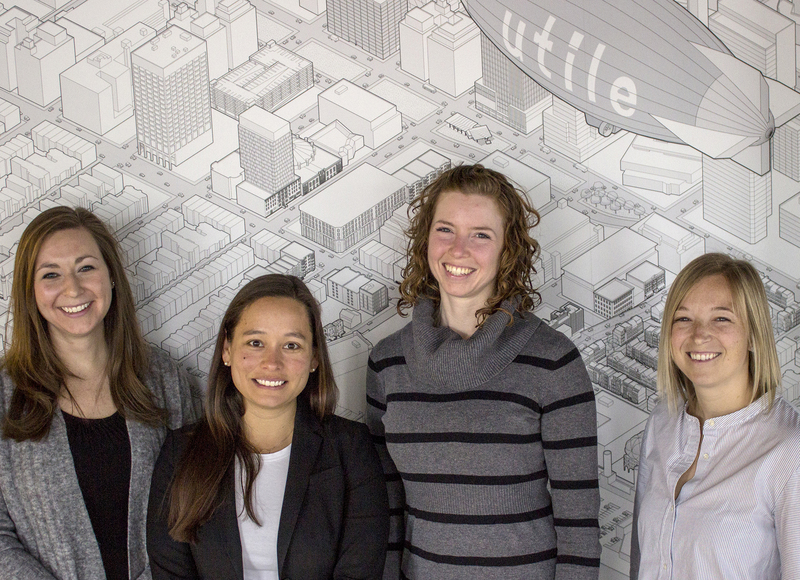 From left: Chantel Kocher, AIA has been promoted to Associate Principal of the firm; Maressa Perreault, AIA is the 2018 Director of Architecture; Jessica Robertson has been named the firm’s newest Associate; and Kennan Lagrèze is the 2018 Director of Planning & Urban Design. From bringing in new business to managing the office workflow, these four Utilians have enthusiastically stepped up to their new roles to get 2018 off to a strong start. Congratulations Chantel, Maressa, Jessica, and Kennan!